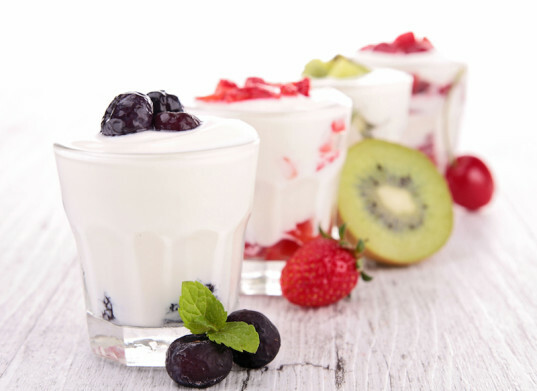 Probiotics have been touted as miracle foods for digestion and health maintenance. But what exactly are they? 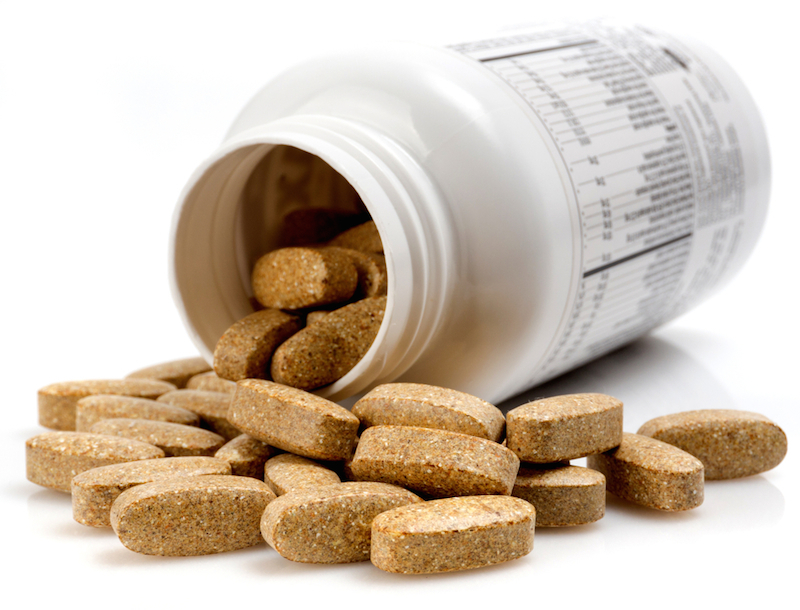 Basically, probiotics are live and beneficial or “good” forms of gut bacteria and yeast. As we find out more and more how our gut microbiome affects other parts of our body, probiotics and foods containing these beneficial bacteria have been attributed to aiding healthy digestion, immune function, and metabolism. Probiotics often occur in fermented foods. The fermenting process promotes the growth of millions and billions of healthy microorganisms that help break down food. The good news: you have probably been eating some sources of probiotics without even realizing it. Many of these foods, such as miso and kimchi, are staples in cuisines around the world and have found their way into comfort foods as well as more exotic fare. 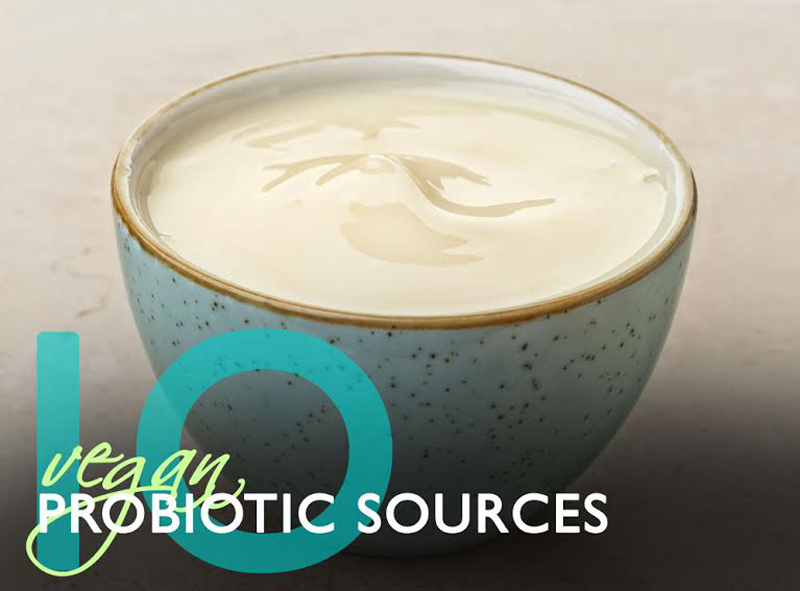 Check out these 10 vegan sources of probiotics and try to incorporate them into your family’s diet. Especially with winter coming (and its related illnesses and the use of gut bacteria-wiping antibiotics), adding probiotics is a way to keep the belly microbiome strong and healthy and ready to fight off illness. If you’ve eaten at a Japanese restaurant, chances are you have come across delicious and nourishing miso soup. Miso soup, which is also a staple in macrobiotic diets, is a soothing and mild, cloudy-looking broth that can also contain small cubes of soft tofu, sliced onions or carrots, and various forms of health-promoting seaweed. Made from soybeans, brown rice, or grains such as barley, fermented miso paste is dissolved into water or broth. The soup is soothing to sip throughout the year — some devotees even drink it for breakfast! Making it at home guarantees that it hasn’t been boiled; the living microorganisms in miso should never be heated at high heat or for long or the benefits will diminish. Yogurt and kefirs are known for their high probiotic count, but for vegans, lactose intolerant folks, and people who simply want to avoid dairy, there are vegan versions that also pack a probiotic punch. Brands such as So Delicious include live cultures in several of their yogurts that have the same effect as the bacterial strains found in dairy-based yogurts but are simply grown on a plant-based source instead. This recipe for homemade coconut milk yogurt (with a probiotic supplement) looks straightforward and would be delicious topped with fresh, seasonal fruit. Kefir is a fermented milk drink; there are some vegan versions available commercially or you can make your own slightly fizzy drinks using water kefir grains in a process similar to that used in kombucha. 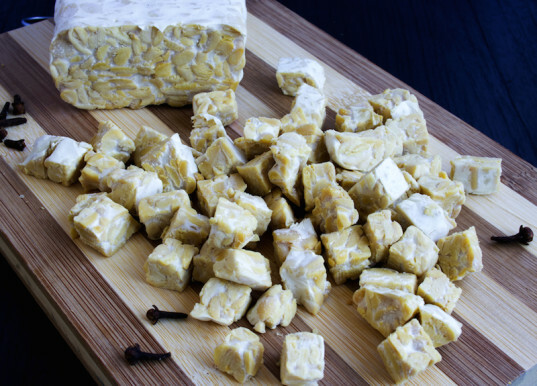 Hearty, slightly nutty-flavored tempeh is made from fermented soybeans and is a great source of protein as well as probiotics. Slice, marinate, and bake it for tempeh “bacon,” season and steam it to add to salads, or add sautéed slices to sandwiches for a filling taste. Since tempeh is Indonesian in origin, it will taste great in curries, stir-frys, or a variety of dishes using Asian flavors — but don’t limit tempeh to one type of cuisine; it also works well BBQed! 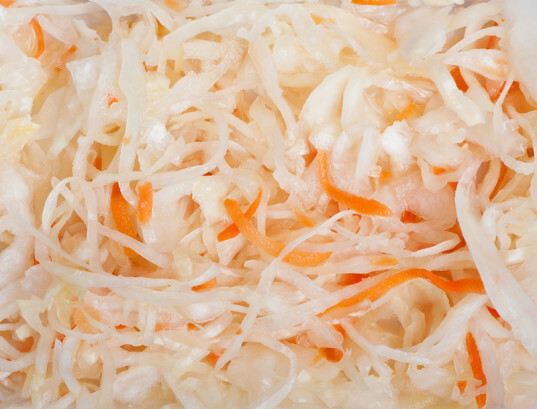 Sauerkraut, which is fermented cabbage, is a tasty and tangy probiotic option that can be found throughout history. It’s often associated with German or other Eastern European countries and is made using a lactic acid fermentation pickling process that can be recreated at home. Look for raw versions; pasteurized versions will kill the probiotic enzymes. Or make your own! Pair tempeh with some sourdough bread and sauerkraut for a vegan probiotic powerhouse sandwich. 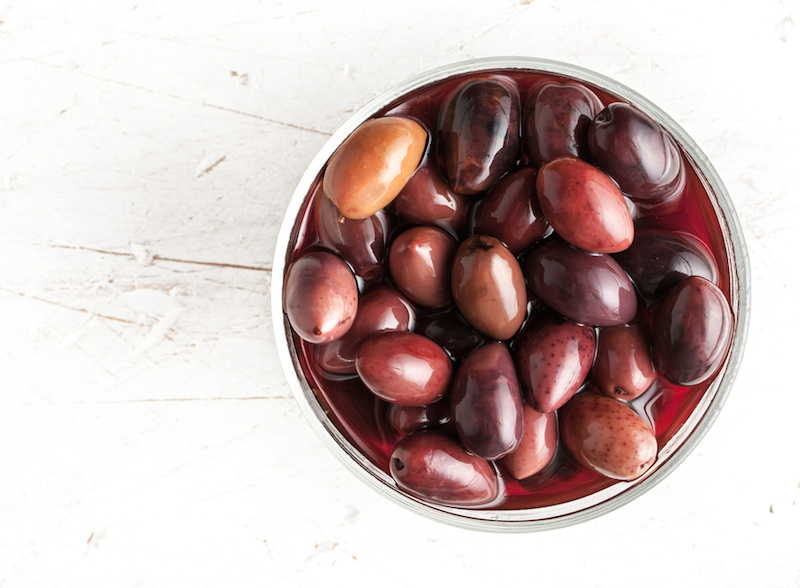 Delicious olives have become a promising prospective source for probiotics recently since they are fermented and the curing brine allows cultures to multiply. Olives can be pretty salty, so eat them in moderation, sprinkled on top of veggie pizzas or as an appetizer with some fresh, raw veggies. This spicy Korean staple is made from fermenting cabbage, onions, garlic, and often spices like red pepper (check labels to make sure there’s no fish sauce involved). 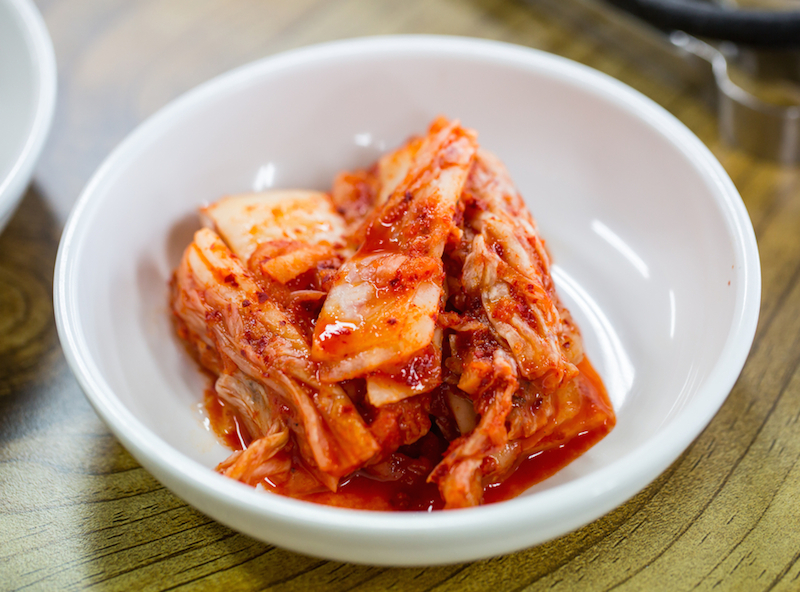 Kimchi will clean out your sinuses as well as making your gut happy. For kids who aren’t so keen on spice, offer small amounts perhaps mixed with other foods. I sometimes add a little to a veggie fried rice. Sour pickles aren’t just good for satisfying pregnancy cravings so don’t toss that sour pickle slice that accompanies your sandwich; it could contain valuable probiotics. Making pickles using lacto fermentation made with sea salt and water (instead of vinegar) keeps beneficial bacteria thriving. And again, you can make your own. 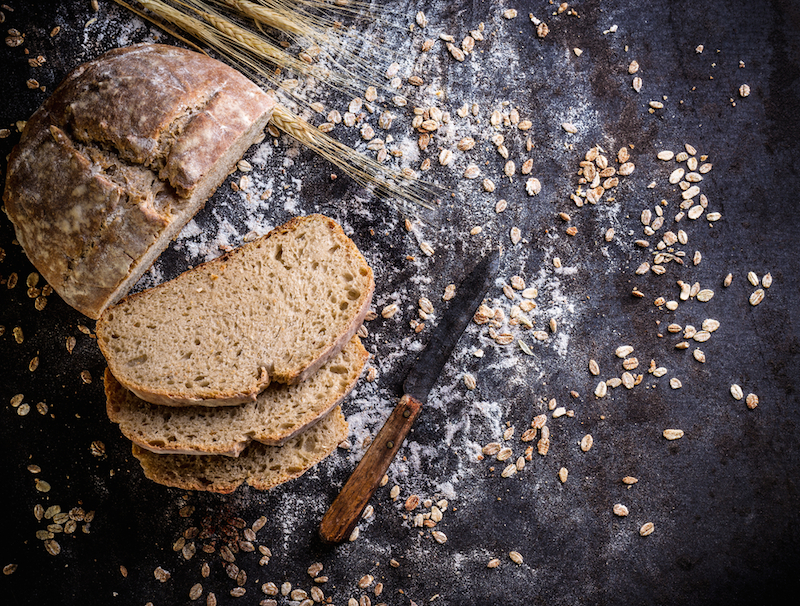 Richly flavored sourdough bread is an easy way to swap in a more health-giving ingredient without changing your family’s daily lunch sandwich habit. Made with a sourdough starter, a more traditional, old-school way of making bread, this hearty and naturally fermented bread takes longer to bake (the process takes several days to a month), but it will also satiate you for longer. Kombucha has been growing in popularity over the past decade, but versions of this fermented tea have been made in China, Russia, and Japan for hundreds of years. Creating kombucha with a SCOBY (symbiotic colony of bacteria and yeast) starter is kind of like a cool science experiment and much less pricey than commercial versions if you make it regularly. This bubbly tea can have a strong taste, so little ones may not go for it initially — and due to the fermentation process there is small amount of naturally occurring alcohol in the finished product. Lighter versions and more varied flavors have been popping up at a variety of health stores and farmer’s markets recently. We have kids of our own, so we understand that some picky eaters may be resistant to trying foods rich in probiotics. In this case, consider trying a supplement like Mega Food’s Kids N’ Us MegaFlora capsules, which are dairy and soy free and contain 5 billion active bacteria of 14 probiotic strains. When looking for a supplement, choose one that has varied bacterial strains as well as a high number of active bacteria and includes strains such as L. acidophilus and b.longum. Certain soy milks are also supplemented with probiotics so check those for live cultures as well. If you’ve eaten at a Japanese restaurant, chances are you have come across delicious and nourishing miso soup. 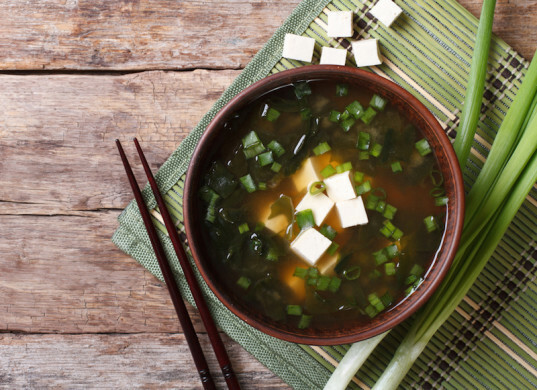 Miso soup, which is also a staple in macrobiotic diets, is a soothing and mild, cloudy-looking broth that can also contain small cubes of soft tofu, sliced onions or carrots, and various forms of health-promoting seaweed. Made from soybeans, brown rice, or grains such as barley, fermented miso paste is dissolved into water or broth. The soup is soothing to sip throughout the year-some devotees even drink it for breakfast! Making it at home guarantees that it hasn’t been boiled; the living microorganisms in miso should never be heated at high heat or for long or the benefits will diminish. Hearty, slightly nutty-flavored tempeh is made from fermented soybeans and is a great source of protein as well as probiotics. Slice, marinate, and bake it for tempeh “bacon”, season and steam it to add to salads, or add sautéed slices to sandwiches for a filling taste. Since tempeh is Indonesian in origin, it will taste great in curries, stir-frys, or a variety of dishes using Asian flavors but don’t limit tempeh to one type of cuisine; it also works well BBQed! 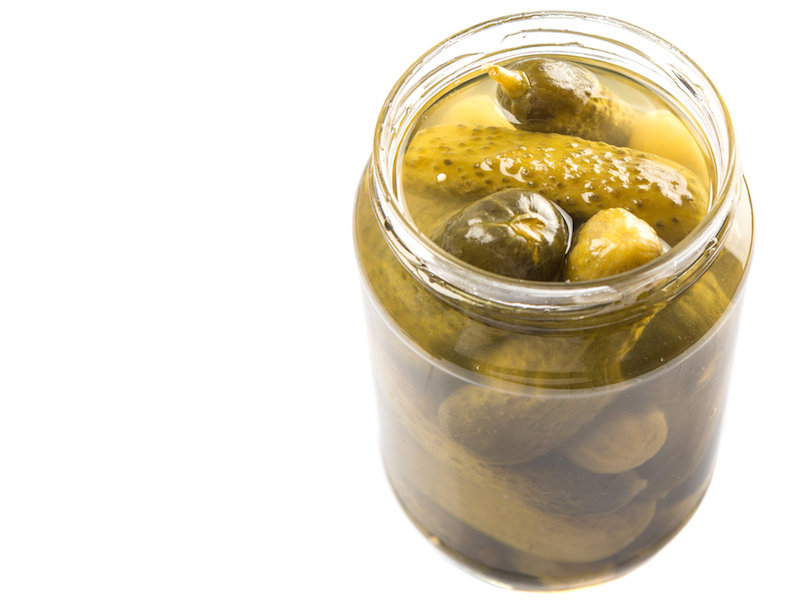 Sour pickles aren't just good for satisfying pregnancy cravings so don’t toss that sour pickle slice that accompanies your sandwich; it could contain valuable probiotics. Making pickles using lacto fermentation made with sea salt and water (instead of vinegar) keeps beneficial bacteria thriving. And again, you can make your own. Kombucha has been growing in popularity over the past decade, but versions of this fermented tea have been made in China, Russia, and Japan for hundreds of years. 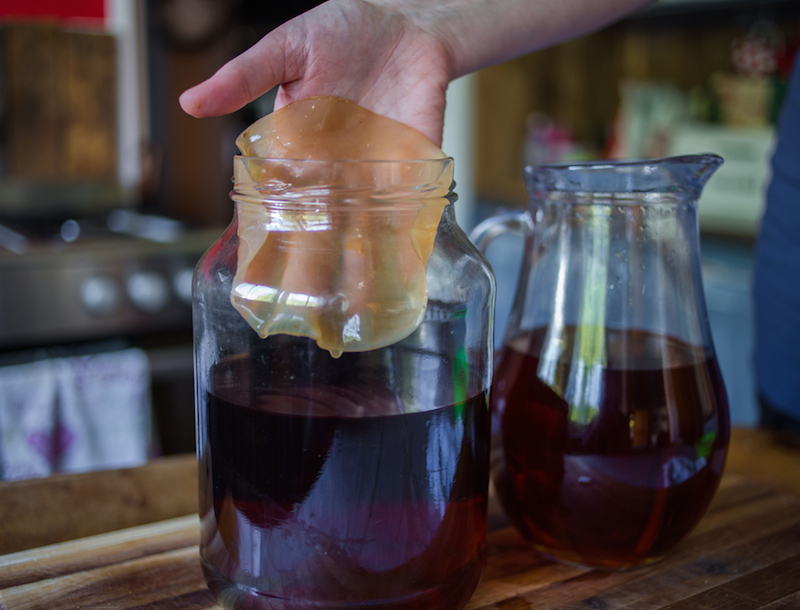 Creating kombucha with a SCOBY (symbiotic colony of bacteria and yeast) starter is kind of like a cool science experiment and much less pricey than commercial versions if you make it regularly. This bubbly tea can have a strong taste, so little ones may not go for it initially and due to the fermentation process there is small amount of naturally occurring alcohol in the finished product. Lighter versions and more varied flavors have been popping up at a variety of health stores and farmer’s markets recently.